On Wednesday, October 5th, the NYMA soccer team traveled to Saugerties for a game against Woodstock Day School. It was a great game with the Knights earning the victory by a score of 2-1. Both teams played with discipline on defense and patience on offense. All players were extremely respectful of one another, showing great sportsmanship. 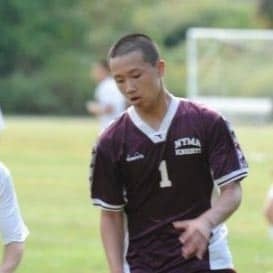 NYMA was led by Leo Baitao who scored both goals. Additional highlights came from Nigel Petti-Fernandez, Remy Sykes, and Henri Racine. This weekend the Knights are back in action traveling to Marvelwood for a HVAL game. Their record is now 2-3 in league play and 3-3 overall.